The taste of dried mulberries is similar to that of raisins without an after-taste. Mulberries are perfectly suited in muesli or for nibbling. Mulberries grow in all moderate and subtropical climate zones of the northern hemisphere and are available in the types red (North America), black and white (both Asia), whereby the type designation does not necessarily match the colour of the mulberry. Mulberries grow on trees or larger shrubs, and they resemble blackberries. 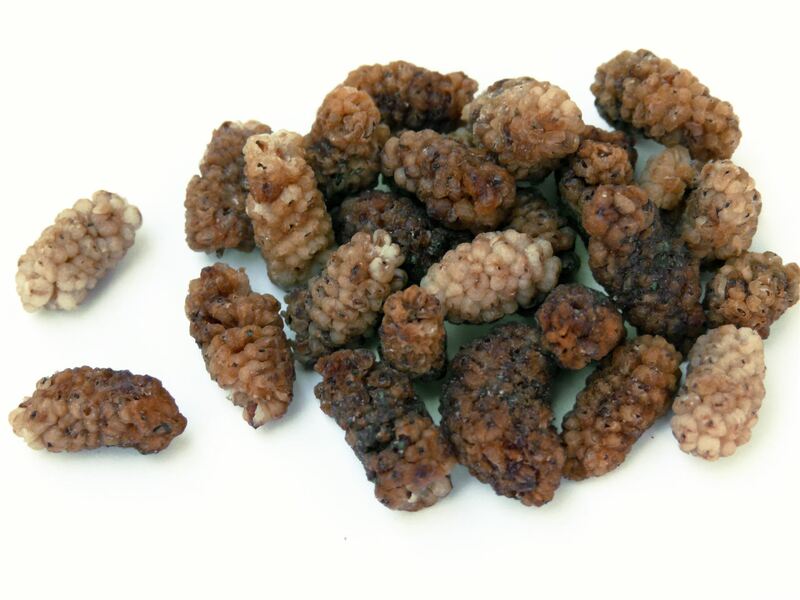 Due to their very sweet, juicy, aromatic and intense taste, mulberries are very popular. Mulberries contain around 150 nutrients, including alkaloids, essential oils, enzymes, flavonoides, mineral nutrients and many important vitamins. When dried, mulberries lose their colour but their sweetness increases so that they are even used as sugar replacement to sweeten tea.